Water quality can either aid in, or hinder, you and your pet’s well-being. By providing your pet with clean, healthy water, you are not only increasing their life span but also building up their immune system and ability to fight infections. Cats and dogs are made up of roughly 75% water, which makes them highly susceptible to kidney and urinary tract infections. Cats and dogs that are on dry food diets need as much fresh water as possible as they are getting very little from their food. A pet water fountain will ensure that your pet always has fresh water to drink. Studies have shown that animals prefer to drink from running water sources rather than stagnant drinking water. The running water from a pet water fountain will therefore grab the attention of your pet which will increase the chances of your pet drinking more water daily. Most pet owners will give their dogs a new bowl of water after every walk, but by providing outdoor water dispensers with pet stations, along frequent dog walking paths, dogs are more likely to drink water during their walks. This will increase their water intake as well as make the walk more enjoyable for the dogs. We at Drinking Water Fountains know how important the quality of drinking water is for the whole family. It is therefore vital that even pets of a household are properly hydrated. 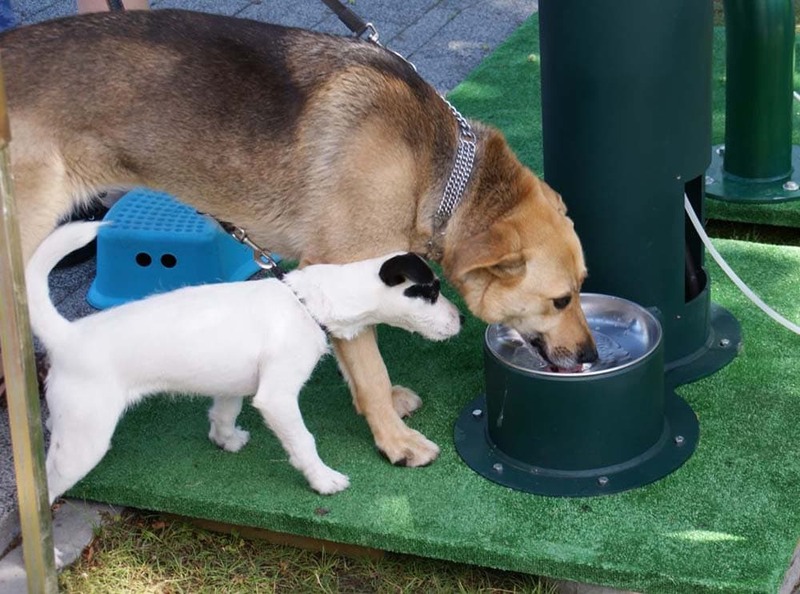 Our affiliate brand, Elkay, manufactures outdoor water dispensers with added pet stations. If you are interested in our drinking water fountains or any of our other water products, please do not hesitate to call one of our friendly team members on 021 813 6631. Alternatively, you can fill in our contact form here and we will get back to you. We look forward to hearing from you.